Recap: Our hero has been sent on a wild goose chase around the Chiltern Hills in search of Ley Hill's (a small village in the heart of the Chilterns) summer fete stalls which have been stolen by someone called The Yellow Fingernail. Having been chased by a bull and stumbling upon a group of farmers who are participating in an illegal "cow" betting ring. 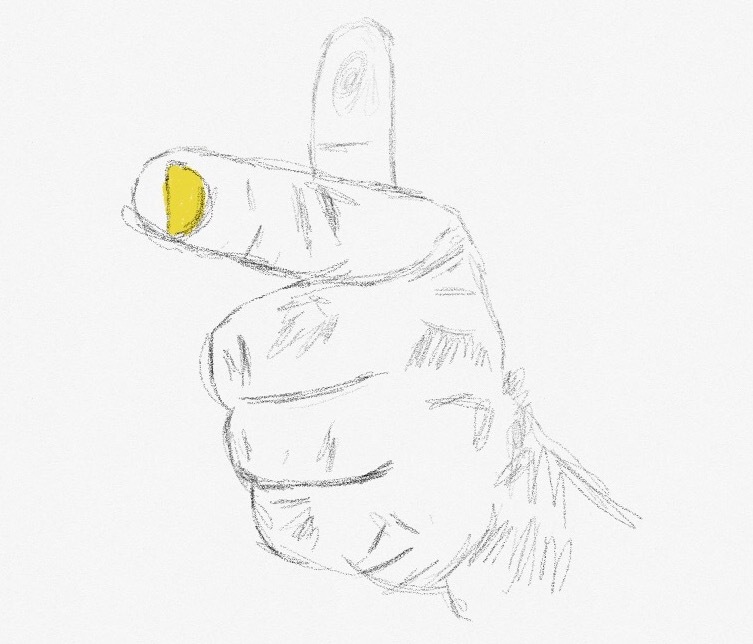 John is now heading towards the final showdown with the master criminal called The Yellow Fingernail. I swiftly moved away from the farmers and their illegal gambling games. Who knew that bulls were being used as leverage in a card game? No wonder the local cow farming industry seemed to be on the wain. Although I should have put a stop to it, four against one was not going to work in my favour. And anyway I had a date with my destiny. The barn I had been pointed towards was across the field in front of me. I checked before moving on as I didn't want to meet another bull. Luckily it was just a ploughed field. So I set off for what I presumed was a final showdown. As I neared I could hear loud banging sounds coming from inside. I froze for a second to take in my surroundings and think of a plan. Looking at the barn there seemed to be two entrances. I decided to opt for going in and surprising them through the back door or was it the front door? It didn't matter. I peered into the darkened barn and saw a figure stacking what looked like large wooden frames and tables. Written on them was the words "Leyhill Fete stalls". This was it. I had found him. The person that had led me on a merry dance from chip shops to pubs and churches. I tiptoed into the barn. I was going to use the element of surprise. As I approached. The figure turned. I bailed, jumping into a heap of bales and loose straw. "Whose there?" came a deep toned voice. I kept still. "Come on show yourself." the voice continued. I then heard the clicking of something metal. A gun? "I'll count to three and if you don't come out I'll shot. One, two." he then paused. I wasn't in the mood to be shot at, so I stood and revealed myself. "Good lord , what are you?" the voice stated. Because I had been snorted upon by a bull, rolled in dung, not washed for days, covered in muck and now covered in straw. I must have looked a right sight! Or something far worse. As I approached, the farmer dropped his gun. "Look, don't hurt me..." There was fear in his voice. "Mr Harper" I stated. he just looked scared and confused. "So you're the Yellow Fingernail?" "You're the Yellow Fingernail. The one who stole the stalls from the fete"
"Stole the stalls? What are you jabbering on about. I store them here every year. I've just been packing them away. Was a rather good fete this year if I may say so myself." "What???" Now I was confused. He walked up to me and moved away some of the straw from my face. "Is that you Wilson? Your mothers been going spare." "Heavens above it is. Where have you been?" "Tracking down the person who stole these stalls" I replied. "You've be taken for a fool Wilson. Old Kiln thinks you being a detective is the most laughable thing he's heard in ages. He set up the plan to send you on the trail of a made up criminal. Yellow...."
"Yeah that's it. Thought you could go searching for them and then return whilst the fete was on. Everyone would have a bit of a laugh at your expense and then we're all go to the pub. Sort of backfired when you didn't return in time. They sent out people to try and find you. Some I believe wore false beards. Your mother thought you were gone forever. Went to the church to pray for your safe return. Came back stating she'd seen some green monster. Can see why now looking at you." I slumped to the muddy barn floor. Confused and angry. I'd been made to look a fool. After a bit of a wash down in a water trough. Mr Harper gave me a lift back in his tractor and after being giving a clip around the ear from Mother, I hid away, shamed to leave the house. The village had played a cruel joke on me but they were about to regret that. Events were about to take a nasty turn. I would be needed to save the village from certain disaster. A new adventure "The Phantom Hedge Cutter"